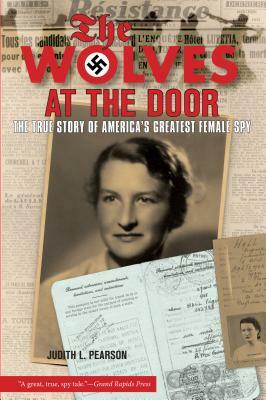 Virginia Hall left her Baltimore home in 1931 to enter the Foreign Service and went to work for the British Special Operations Executive (SOE) when Hitler was building toward the peak of his power in Europe. She was assigned to France, where she helped the Resistance movement, escaped prisoners of war, and American Allied paratroopers. By 1942 she was considered so dangerous to the Gestapo that she had to escape over the Pyrenees mountains--on an artificial leg, no less. When she got to England, she was reassigned to France by the OSS, disguised as an old peasant woman. She helped capture 500 German soldiers and kill more than 150, while she sabotaged Nazi communications and transportation. Hitler's forces were hot on her trail, however, and her daring intelligence activities and indomitable spirit defied the expectations of even the Allies until the very end of the war. Her story was ignored for more than fifty years, and this book now brings Virginia Hall's story to patriots young and old. Judith L. Pearson, award winning writer's career began in a tree: a wonderful old maple in her parents' backyard, with a perfect branch on which to sit and spill out her thoughts. Now hundreds of thousands of words later, this Michigan native is still writing.A graduate of Michigan State University, Pearson has written nearly two decades worth of newspaper and magazine articles, and has published three books. The first two are biographies about ordinary people who exhibited extraordinary courage: Belly of the Beast: a POW's Inspiring True Story of Faith, Courage and Survival, and Wolves at the Door: the True Story of America's Greatest Female Spy. The latter has been optioned for a movie.A life-changing event caused Judy to depart from biographies to write her third book: It's Just Hair: 20 Essential Life Lessons. A 2012 International Book Award finalist, the book is the first in a series of three, all involving lessons designed to help readers infuse their journey through life with courage and humor. Her current book project, A Different Kind of Courage: 10 Lessons in Celebration of Women's Bravery is anticipated to be on bookshelves in May of 2013.The founder of Courage Concepts, an organization that cultivates courage in women, Pearson provides workshops and keynotes for corporations and organizations. She and her husband split their time between her idyllic little home town on the shores of Lake Michigan and downtown Chicago. And she still climbs trees!